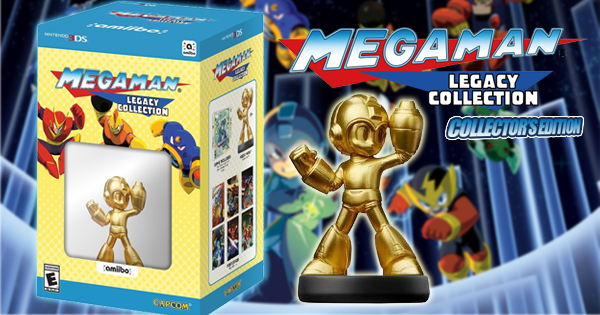 If you missed it the first time around, Best Buy are currently accepting pre-orders for the Mega Man Legacy Collection Collector’s Edition. Inside this lovely package you'll find the game, two Nintendo 3DS themes, 18-song sample compilation soundtrack, six postcards and, of course, the gold Mega Man amiibo. Stock is limited so get a move on ASAP! Did you back Jasco Games' officially-licensed Mega Man board game? Keep an eye on that mailbox: your copy is due to arrive soon. Finalized copies are due to hit Jasco's warehouse later today, the company announced. Soon after, their warehouse will begin to ship orders directly to backers. Shipments will include the base game and any add-ons you may have opted for. Customs are really cutting it close with this one, mind you. Chances are slim to none you'll receive your copy before year's end. Depending on where in North America you live, the next two weeks sound like a very promising window. UPDATE: If you have any final address changes for your order, send them to shane@jascogames.com by midnight tomorrow night. All orders will ship immediately after thatdeadline. 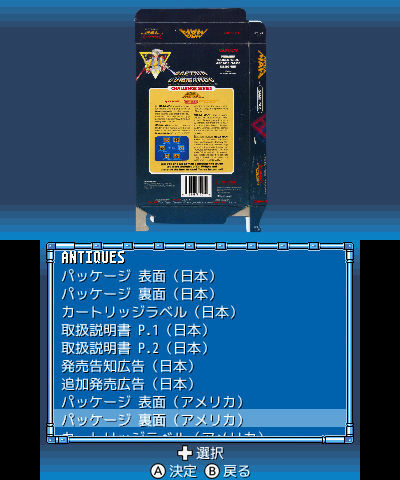 Keen-eyed Mega Man Legacy Collection players no doubt noticed a severe lack of U.S Mega Man boxes in Museum mode. For one reason or another these classic packages were omitted in the PS4, Xbox One and PC versions. 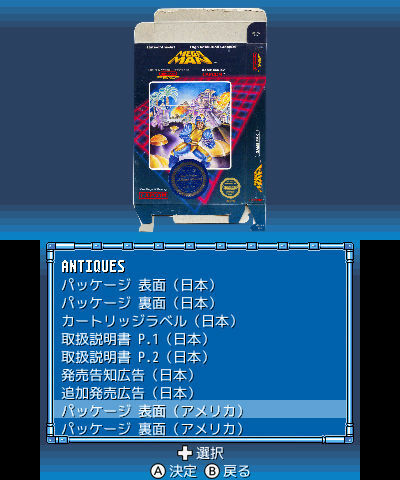 However, according to the latest batch of Rockman Classics Collection screens, the Nintendo 3DS version will rightfully include the missing art. Besides the U.S boxes, there's several other missing pieces as well that might just find their way to the 3DS version. You can see what those are at #20's place here. At this time there is no indication if the Museum will be patched on home consoles and PC to include these missing pieces. We should have a better idea closer to February, if not sooner. With Christmas lurking just around the corner, Japanese Rockman fans are getting into the spirit with a merry old tradition. You remember this thing, right? 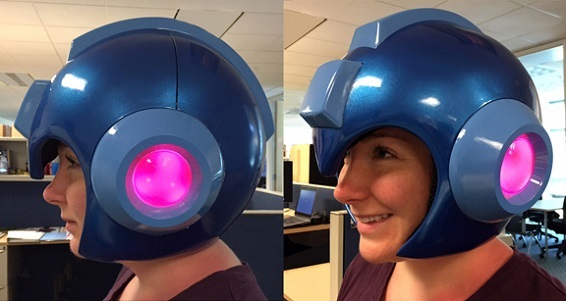 Though it won't arrive in time for Christmas (as originally intended), Capcom's official Mega Man helmet looks to be hitting mailboxes by January 20th, 2016. If you pre-ordered through Capcom's online store you should have received a confirmation e-mail earlier today. If not, hang in there. These things tend to fluctuate case-by-case. Can't wait for Hobby Rock 2016? Let's whet that appetite! Feast your eyes on the latest batch of images from this coming year's newest models. From Classic to Star Force, there's a little something here for everyone. Well this is a bit... random. In recent times we've seen a huge influx of classic series goods. Come early 2016, though, Capcom turns its merchandising gaze to Rockman EXE with a pair of new plushies. 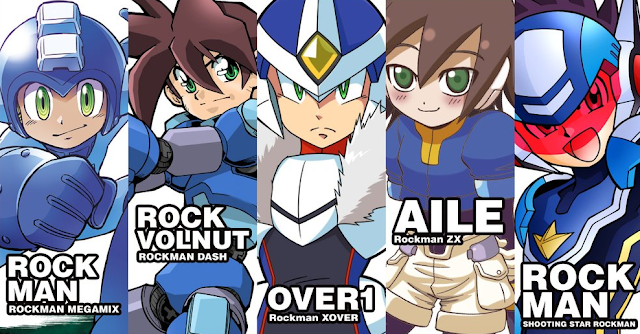 Say hello to the "Rockman EXE All Star Series". Rockman EXE himself, Blues and a Mettaur spearhead this new line, a follow-up to San-ei's previous Rockman plushies. Both characters are due in Japan on February 25th, 2016. 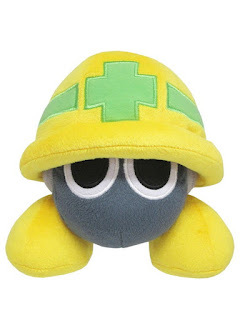 Pre-orders are live on Amazon Japan and Hobby Stock. There's a very good chance we'll see these overseas as San-ei's plushies typically populate pop-culture retailers in North America. Nothing says "happy birthday" quite like new merchandise, food and beverages. Stuff. 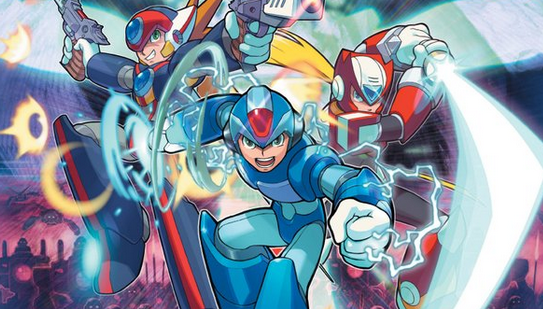 The interim between the Mega Man classic and X series is an on-going subject of debate and speculation among fans. While Capcom have gone on record to state an official outline exists, the house that built the "Blue Bomber" prefers to leave these events up to the imagination. That's all well and good – however, there's just enough information out there to piece most of it together. Let's dig in! 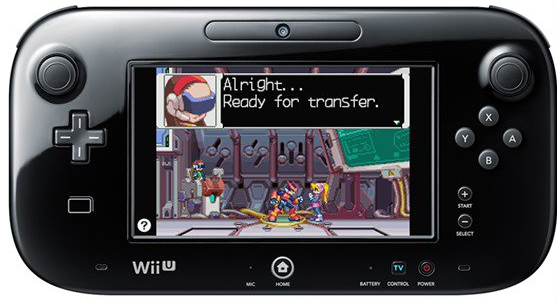 Tomorrow's North American Wii U eShop update includes Mega Man Zero 4 and Mega Man Battle Network 5 (Team Proto Man and Team Colonel). Battle Network 5 will be $6.99 each. Mega Man Zero 4 will be $7.99. If for some reason you don't own either Mega Man 9 or Mega Man 10, you might want to swoop up this sweet little deal. Both games have been dropped to a mere $2.99 on Xbox Live Gold (normally $9.99 a piece) for a limited time. Of note you can only play them on Xbox 360. Though Microsoft is doubling down on backwards compatibility on Xbox One, Mega Man 9 and Mega Man 10 have yet to make the jump. If you buy them now, though, you'll be ready when the time comes. 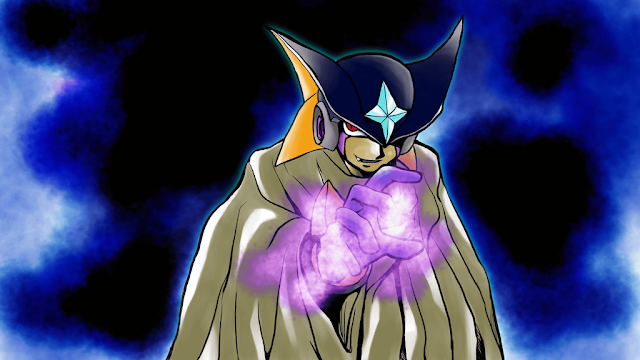 For fans and collectors of Mega Man artwork, I thought I'd introduce you to a great source of Ryo Takamisaki material. 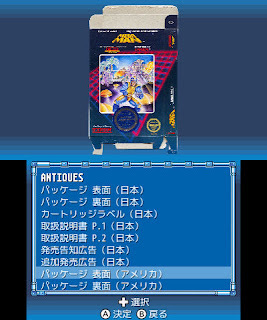 Having written and illustrated both Mega Man Battle Network and Star Force manga adaptations from 2001 to 2008, Takamisaki's archives contain a wealth of Mega Man content. Your home menu will soon be megafied! 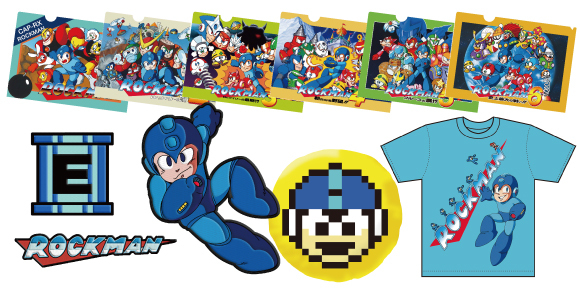 For your consideration, here are the two themes you get when you purchase Mega Man Legacy Collection for Nintendo 3DS. Jump to 2:52 to see them in action. FYI, download codes for the themes come bundled with both the standard and collector's edition. No news if or when you'll find them on the eShop standalone. 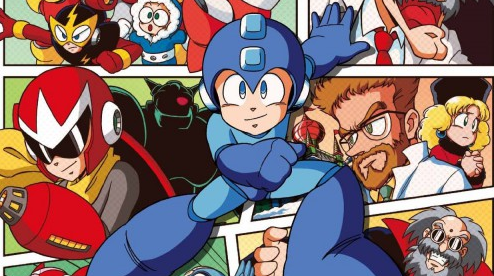 The final issue of Archie Comics' Mega Man, pre-hiatus, will go on sale December 23rd, the publisher announced. It will hit stores physically and digitally the same day. What's more, Betty and Veronica affirm this is the definitive release date. Sounds like we'll be saying au revoir in just a few weeks! Which PS2 Mega Man Game Would You Like to See on PS4 First? The first of what will hopefully be many PS2 Classics arrived on PlayStation 4 over the weekend. Every game has been upscaled to 1080p with additional Trophy support, Remote Play, Activity Feeds, and Second Screen. More titles are naturally in the pipeline; we at Rockman Corner, though, are interested in what the future holds for the PS2 Mega Man games. 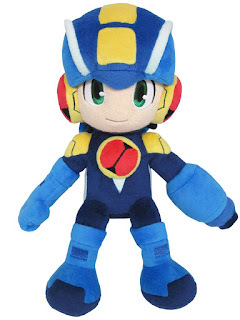 A "friend" of mine wants to know which of these three PS2 Mega Man games you'd like to see on PlayStation 4 first: Mega Man X7, Mega Man X Command Mission or Mega Man X8. Anniversary Collection and X Collection are not a choice (sorry). Speak your choice in the comments below. There is no guarantee the favored choice will move forward... this opportunity merely exists to gauge interest; to establish a realm of possibility. Nevertheless, certain parties will be watching this post. 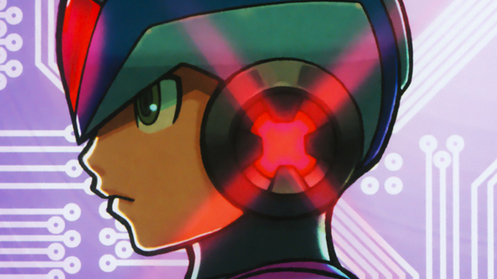 Capcom Japan recently announced that there will be a Rockman stage show at Jump Festa 2015 on December 20th. 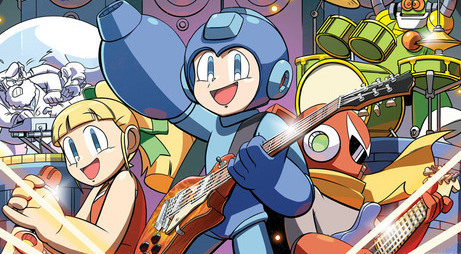 The show will promote the Japanese release of Rockman Classics Collection. Rockman Unity's Ucchy-san and Kazuhiro Tsuhiya - reportedly the game's producer in Japan - will be on-hand to speak about the game. 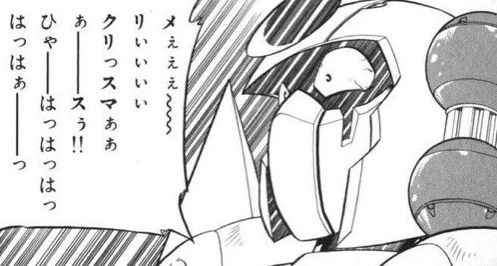 Under the pseudonym “TSUCCHIE”, Tsuhiya previously worked on Rockman 5 as a debugger and Rockman 7 as a programmer. He would go on to produce 2012’s Asura’s Wrath. It's worth noting Tsuhiya is absent from Mega Man Legacy Collection's credits, so it's interesting Capcom Japan refers to him as Classic Collection's producer. 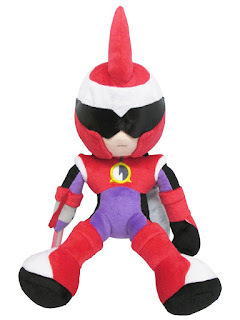 Capcom Japan continues to leverage the Rockman IP with more uninspired paraphernalia. Astute comic readers have no doubt noticed an empty spot on this week's newsstands. 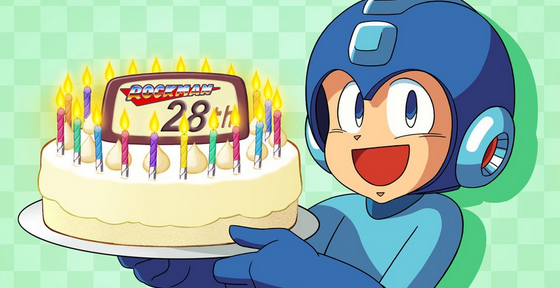 As you may recall, Archie Comics delayed the 55th and final issue of Mega Man from November 18th to December 2nd. Well it's the 2nd... and the issue is quite literally nowhere to be found. Red flags went up when, according to The Mega Man Network, solicitations were absent from PREVIEWSworld listings. Issue #55 does not appear in the "New Releases" page for the week of 12/2, let alone any core Archie comic (save for an Archie Double Digest). What's more the publisher's official Twitter hasn't said a word. It's all quiet on that front. Curiously, Comixology has the issue up for pre-order with a December 9th release date. Pending word from Archie, though, it's safe to say this may be a placeholder date. We'll keep an ear to the ground - stay tuned.